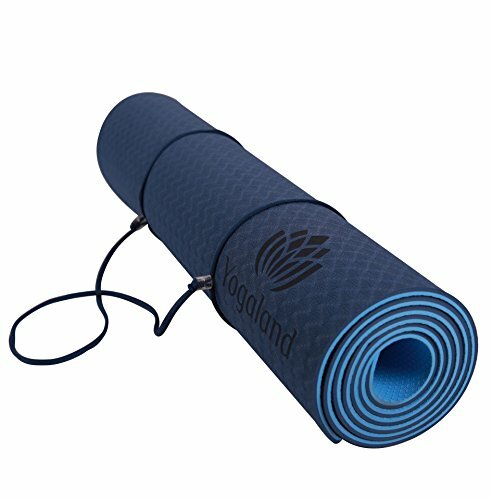 YOGALAND is a newly created brand for well-made, high quality and healthy products.We had interview with over hundreds of yoga instructors to be able to create a unique product. After market search, we have invented the best featured yoga mats for you by considering environmental responsibilities. Non Slip. Extra Thick 6mm. 72x24 Size. Eco Friendly. Carrying Strap Included. ✔ NON SLIP : Reversible, double sided anti-slip surfaces ensures that you and your mat never slips during use. Perfect for yoga, pilates, exercise and fitness. ✔ CARRYING STRAP INCLUDED: Every mat comes with carrier straps that makes much easy to carry it to your studio or for outdoor training. ✔ ODOR-FREE: One important feature is that our mats do not let out smell, it is odor-less. ✔ EXTRA THICK: 6mm 1/4-Inch thick yoga mat provides the best cushion ever. It also provides a comfortable surface for sit ups, crunches, and push ups for a less stressful core workout. 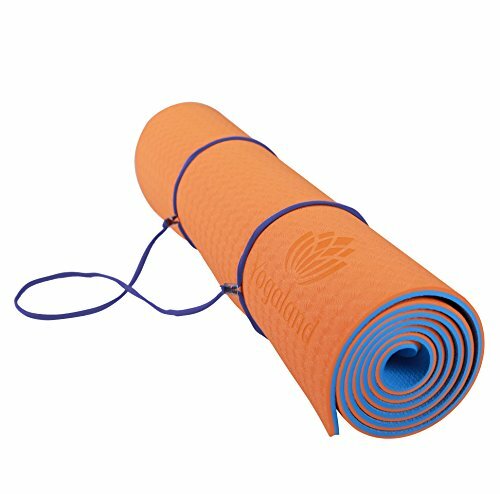 ✔EXTRA LARGE SIZE: 72 x24 Yoga Mat is ideal size for everyone. 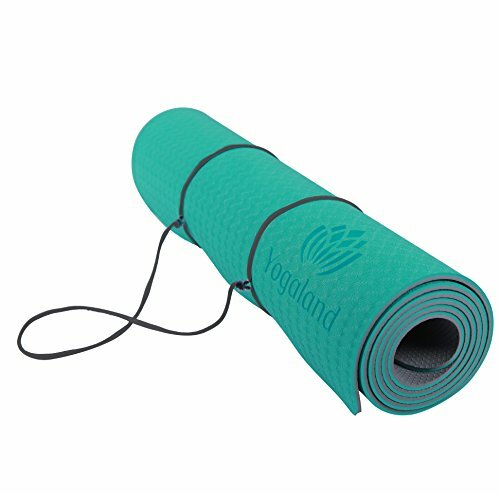 ✔ LIGHTWEIGHT : Yogaland provides ultra lightweight yoga mats for easy travel. It is just 2,50 pounds. ✔ ECO FRIENDLY: Yogaland mats are produced with 100% recyclable Eco-Friendly material. Yogaland mats are the best choice for your body and keeping our enviroment safe. ✔ IMPROVED DENSITY: Yogaland mats have higher density than regular yoga mats in order to provide the best comfort for you. The best performance with optimised texture for anti-slip and the best grid and cushion. ✔ SGS, TUV, RoHS CERTIFIED: Yogaland mats have passed EN71,EN1-2-3, Rohs, 6P Free Tests by TUV and SGS. Any harmful chemicals, latex, PVC or silicone are not used. ✔ WATERPROOF: You can clean the yoga mat with soapy water and pat dry with a towel after use. NON SLIP , WORRYLESS : The worst thing when you practice yoga is slipping on the mat. 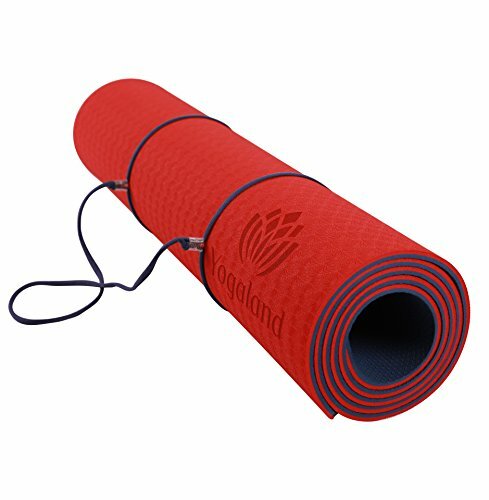 Yogaland yoga mat provides the best solution for you for an ultimate yoga experience. ECO-FRIENDLY & CERTIFIED : Yogaland yoga mats are certified by SGS, TUV and RoHS. It doesn't contain any harmful chemicals, latex, PVC or silicone. 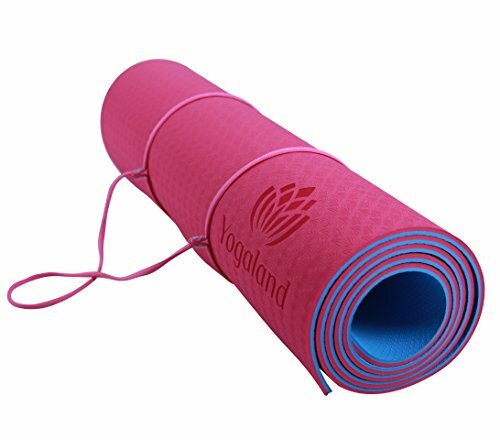 Yogaland yoga mat is your the best choice for your body and keeping our environment safe. CARRIER STRAP INCLUDED : Every single yoga mat comes with ergonomic carrying straps. You can easily bring your mat anywhere you wish to practice. OPTIMUM THICKNESS & SIZE : Extra Thick 6mm 1/4-Inch for the best cushion. 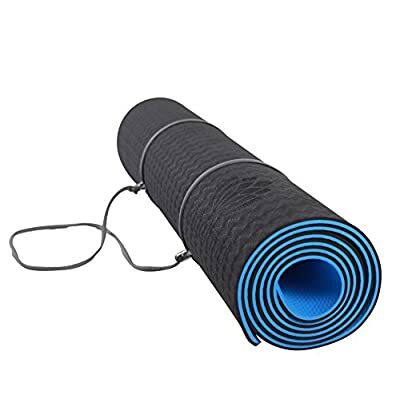 Extra Large size yoga mat ; 72-Inch (183cm) long and 24-Inch (61cm) wide and it is just 2,50 pounds. Perfect for Yoga, Pilates, Fitness or Exercise for home. SATISFACTION GUARANTEED: Love it or your money back! If you are not 100% satisfied, we will give you your money back. 30 day returns policy and 12 month warranty included.